This musical companion to the Iona Worship Book aims to provide additional resources to people unfamiliar with the themes and theology of the liturgies used on Iona and give access to the musical aspect of services in the Abbey. 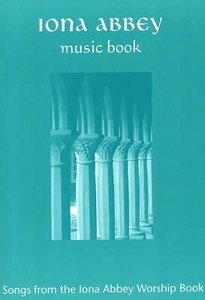 - Publisher The "Iona Abbey Worship Book", to which this is a music companion, is being used more and more widely among congregations far from the island of Iona - often introduced as a resource by a minister or community member who has been inspired by worship in the Abbey. The worship book itself includes the words of several songs relevant to the themes and theology of the liturgies used on Iona and many more such songs are recommended in its pages. For people that may not be familiar with these, this songbook aims to provide additional resources. Some of the songs have been published in other collections, especially those of Wild Goose Resource Group material, while others are not available elsewhere. It is hoped that this songbook will make use of the "Iona Abbey Worship Book" by giving access to the musical aspect of services in the Abbey. Worship is a means of our being moved, challenged, encouraged and changed - and singing together is a vital part of this. About "Iona Abbey Music Book"
The "Iona Abbey Worship Book", to which this is a music companion, is being used more and more widely among congregations far from the island of Iona - often introduced as a resource by a minister or community member who has been inspired by worship in the Abbey. The worship book itself includes the words of several songs relevant to the themes and theology of the liturgies used on Iona and many more such songs are recommended in its pages. For people that may not be familiar with these, this songbook aims to provide additional resources. Some of the songs have been published in other collections, especially those of Wild Goose Resource Group material, while others are not available elsewhere. It is hoped that this songbook will make use of the "Iona Abbey Worship Book" by giving access to the musical aspect of services in the Abbey. Worship is a means of our being moved, challenged, encouraged and changed - and singing together is a vital part of this.